Research Facility aims to foster cross-disciplinary research collaborations, establish a strong partnership with industries and promote big data education. 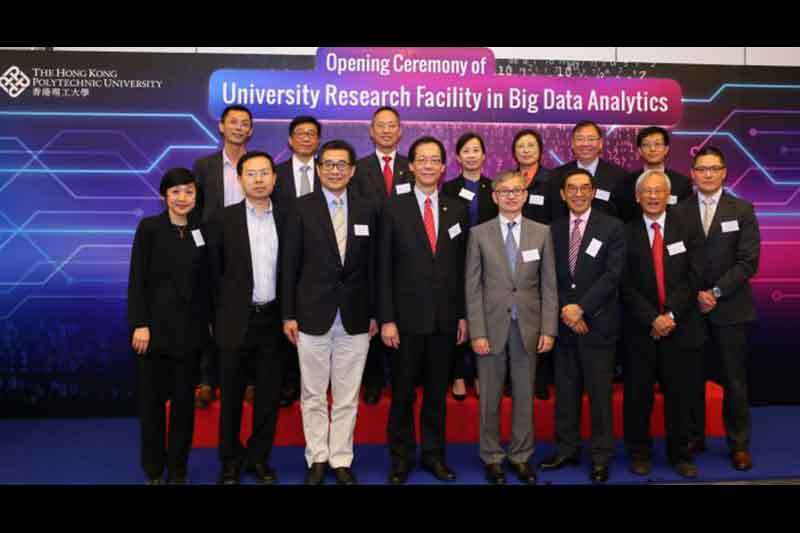 According to a recent press release, the Hong Kong Polytechnic University (PolyU) recently established the University Research Facility in Big Data Analytics (UBDA), the first university-wide research facility in big data analytics among universities in Hong Kong. Equipped with big data expertise in PolyU and the most advanced computing infrastructure, UBDA aims to achieve three goals: foster cross-disciplinary research collaborations in PolyU, establish a strong partnership with industries on big data analytics applications, and promote big data education in Hong Kong. At the initial stage, UBDA will focus on three major research areas – Smart City and Smart Internet of Things (IoT), Finance, and Healthcare. Managed by big data experts from Department of Computing, Department of Applied Mathematics and representatives from other disciplines, UBDA will provide consultancy service and technical support to PolyU research community and industry partners, assisting them to develop innovative solutions to research problems and application challenges by capitalising on the use of models, algorithms and platforms for big data analytics and processing. Currently, UBDA is already involved in collaborative big data analytics projects within PolyU and with external partners including the Airport Authority Hong Kong, Hong Kong Police Force, Alibaba, GogoVan, Huawei, and Microsoft. For instance, UDBA team has been collaborating with Airport Authority Hong Kong, Hong Kong R&D Centre for Logistics and Supply Chain Management Enabling Technologies to develop a Big Data-Driven Airport Resource Management (BigARM) Engine to improve the efficiency and intelligence in resource management at the airport, including the baggage reclaim carouselallocation. The effort seeks to address the challenge of achieving balanced usage and efficient allocation of baggage reclaim carousels to handle hundreds of arrival flights daily. The effectiveness of reclaim carousel allocation is affected by an array of influencing factors, including actual flight arrival time, number of arrival bag, ground handling equipment arrival time, apron traffic condition, bag unloading speed, bag dwell time on reclaim carousel, etc. The current phase of the project focuses on developing an intelligent application which can provide allocation recommendations through an analysis of the various influencing factors at play. The objective is to enhance the allocation plan and provide supports for real-time dynamic adjustments. The Under Secretary for Innovation and Technology, Dr David Chung, said the facility will allow researchers at PolyU to “carry out more forward-looking research projects that will benefit the society and supporting a vibrant big data innovation ecosystem in Hong Kong”. On the same day, the University also announced the establishment of Consortium for Innovation in Big Data and Artificial Intelligence, which serves as an open platform for industries and organizations to collaborate with PolyU on research domains of big data analytics and artificial intelligence, aiming to solve challenging problems and develop advanced applications.